Belize’s ruins are famous all over the world; in our Belize travels we meet many people who have traveled days just to see them. Once you start getting into it, you will be surprised how many there are. There is no single tour to see all of them that I have found, and likewise there is no single city, town, or village where you can base from to see them all. Therefore, to plan your own tour of Belize Mayan ruins you will need to familiarize yourself with Belize geography. First you will need a map of Belize that includes the major Mayan ruins in the country. You can order one from us (free!) if you like. Then you need to decide which ruins you wish to visit. Our Belize Mayan Ruins webpage goes into some detail to help you choose. Finally, you locate your choices on the map. Day tours of ruins can be arranged through lodges in the immediate area. Below is a table showing the major Mayan ruins in the country and where to access them from. We continuously follow Belize news here from our Utah office. By far the best news source for Belize is Channel 5 out of Belize City. 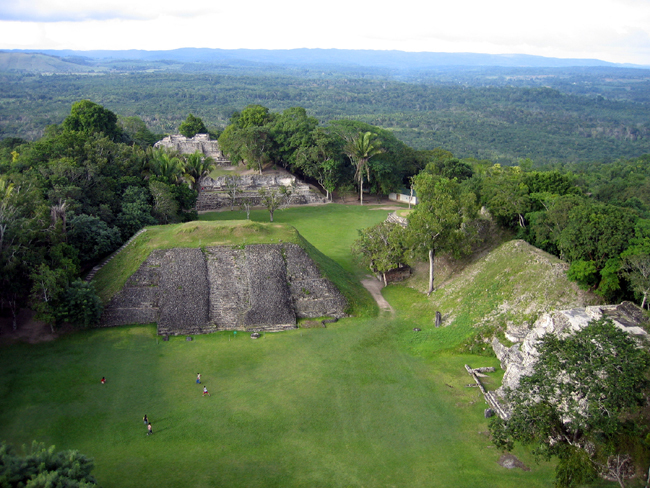 A recent news story revealed a major Mayan ruin discovery at Xunantunich in western Belize. Xunantunich is the Belize Mayan ruin that we explore with our guests on our Belize Adventure Week package, so we have been there countless times. Reading Mayan ruin news reminds me of the Moab news. It’s not uncommon for our local paper to feature a new rock fall on the front page of the weekly paper. Now THAT is news if you ask me. 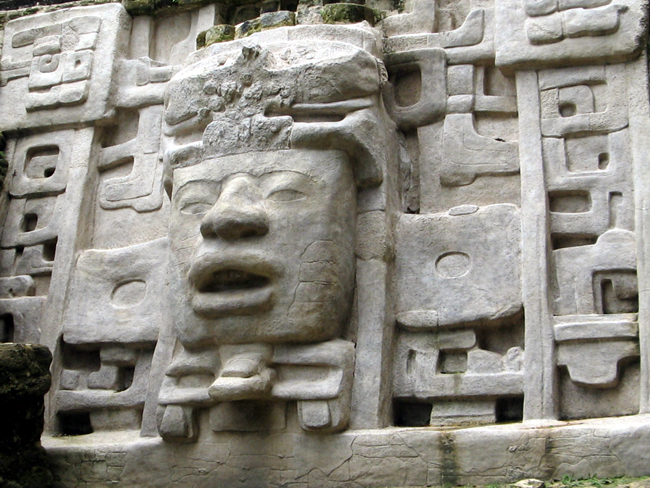 This recent Mayan ruin discovery is a significant one. It tells a story of Mayan royal marriage, geopolitics, and the answer to a long-standing mystery about this Mayan city-state. The Director of Archaeology of Belize, Dr. John Morris, tells of uncovering an important panel covered with hieroglyphs. The date on the panel is December 2, 638 AD, and the subject of the text is a commemoration of the death of the wife of the ruler of Caracol. In fact, the panel is from Caracol, but found at Xunantunich. Dr. Morris explains how the story on the panel makes some important connections between Caracol and Xunantunich. When Caracol was defeated, the victors took the stairway panel from Caracol, cut it up, and divided it between several cities that helps vanquish the great city of Caracol. Archaeologists have long wondered by Xunantunich was such a powerful city. To read the full transcript of the news segment, visit Channel5Belize. To read more about Xunantunich, visit our website. Tikal is the ultimate Mayan city. If you are at all interested in Mayan history and culture, and you are already going all the way to Belize, you want to schedule some extra time to visit Tikal. Located in next-door Guatemala, it is actually easier to get there from Belize than from Guatemala City (where international flights land). To learn more about this, visit our blog post How do I get to Tikal from Belize? Even the size of Tikal is awe-inspiring, as some 10 square miles of Tikal have been mapped by archaeologists. Huge stones brought via nearby rivers served as the raw materials for construction. 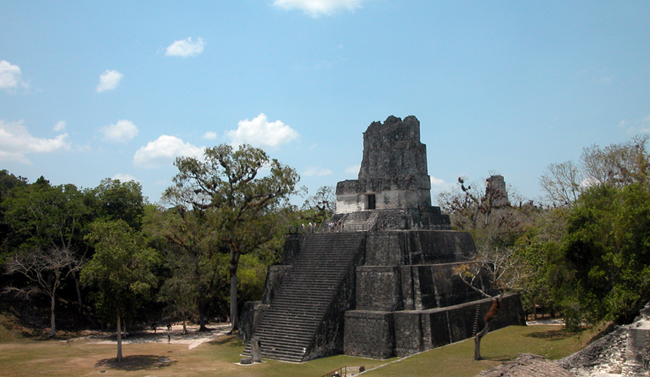 Tikal has five enormous temple complexes that center around steep-sided pyramids rising above the jungle canopy. Dating from as far back as 900 BC, Tikal was originally just a village, making it the oldest of Mayan sites. The Great Plaza, which is flanked on each end by a huge pyramid, is surrounded by stelae (sculptures) and altars, ceremonial buildings, and a ball court. The Temple of the Giant Jaguar is arguably the most spectacular of all of Tikal’s structures and reaches more than 150 feet in height. No one knows exactly why Tikal experienced its’ final downfall, but by 900 AD almost the entire Mayan civilization had collapsed and Tikal was abandoned. When you visit Tikal, if you travel on your own it is well worth it to hire a guide when you get there. A good guide will greatly increase your enjoyment and understanding. 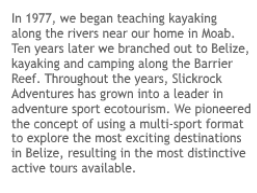 If you visit as part of a tour group from Belize the guide will of course be provided. Allow at least two days extra to visit Tikal, and three or four is preferable.